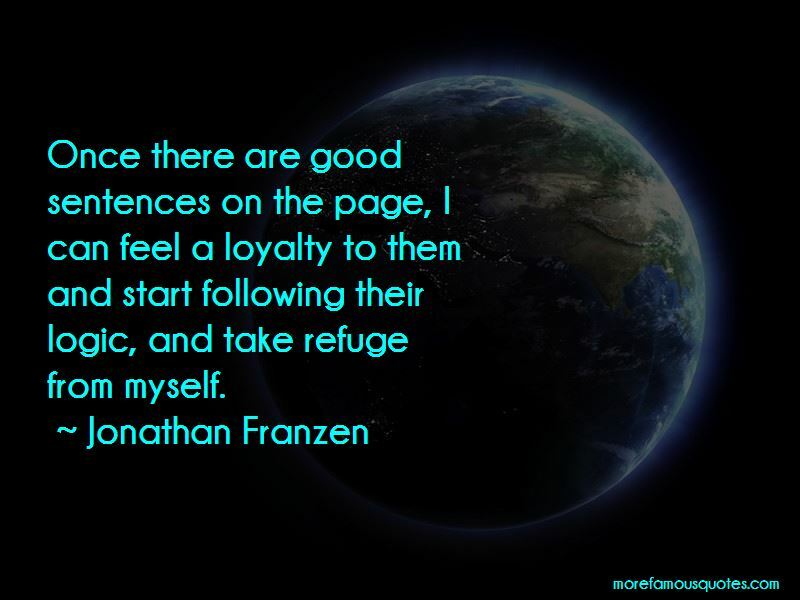 Enjoy the top 376 famous quotes, sayings and quotations by Jonathan Franzen. And when the event, the big change in your life, is simply an insight-isn't that a strange thing? That absolutely nothing changes except that you see things differently and you're less fearful and less anxious and generally stronger as a result: isn't it amazing that a completely invisible thing in your head can feel realer than anything you've experienced before? You see things more clearly and you know that you're seeing them more clearly. And it comes to you that this is what it means to love life, this is all anybody who talks seriously about God is ever talking about. Moments like this. Love is about bottomless empathy, born out of the heart's revelation that another person is every bit as real as you are. And this is why love, as I understand it, is always specific. Trying to love all of humanity may be a worthy endeavor, but, in a funny way, it keeps the focus on the self, on the self's own moral or spiritual well-being. Whereas, to love a specific person, and to identify with his or her struggles and joys as if they were your own, you have to surrender some of your self. “And if the world refused to square with his version of reality then it was necessarily an uncaring world, a sour and sickening world, a penal colony, and he was doomed to be violently lonely in it. Google and Accurint can make you feel very smart, but the best stories come when you're out in the field. I think the mission for the writer is to tell stories in a compelling way about the stuff that cannot be talked about, that cannot be gotten at with shallow media. Want to see more pictures of Jonathan Franzen quotes? 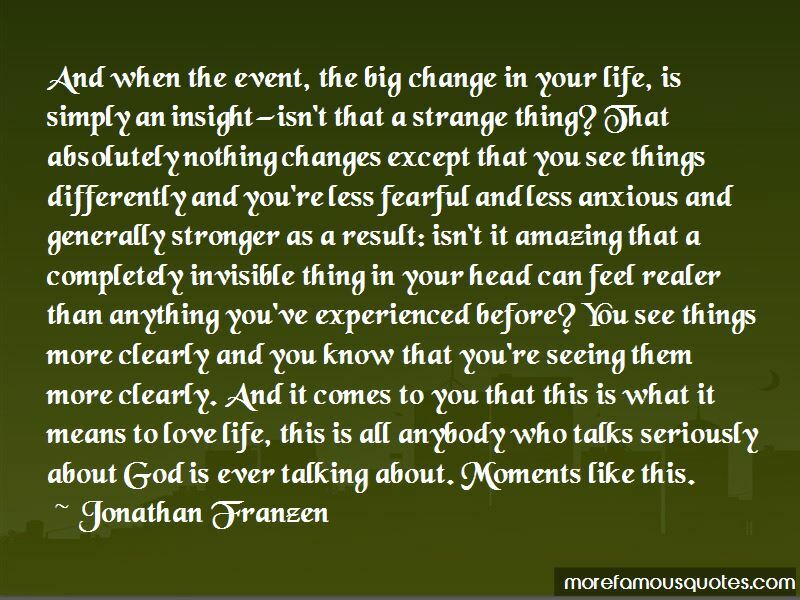 Click on image of Jonathan Franzen quotes to view full size.